We've got a pair of relationship-focused #Tubesday videos, ranging from the defiant to the surreal, for you today. 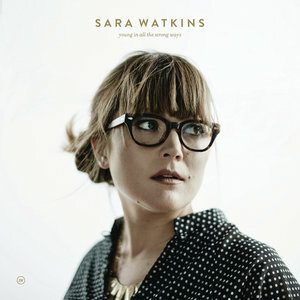 We kick off this post with Sara Watkins' "Young In All The Wrong Ways", the latest video and title track from her forthcoming album. It's a bluesy, defiant, boot-stomping post mortem of a relationship gone wrong. Lyrics like "I lies at rehearsal / Until I feel that burn" allude to the intertwining of personal and professional attachments, although I don't know if this song is autobiographical or entirely fictional. If you missed her show with her trio I'm With Her this past weekend, you'll have a pair of chances to catch up with her later this summer and fall. She's playing a set at Rams Head On Stage in Annapolis on September 27, and she'll grace the stage at DC's The Hamilton on October 6. On a more surreal and less serious note, we have the video for "Phasing Out" from Motel Radio. The hapless protagonist of this ambling swamp-surf rocker, in a plot with similarities to the movie Lars and the Real Girl, falls in love with a shop window mannequin and the store's window dresser in succession. Neither relationship goes well for him, often in the most slapstick of ways. Motel Radio will be releasing an EP, Desert Surf Films, on Roll Call Records on August 12. No word yet on any local tour dates, but we will keep you posted.